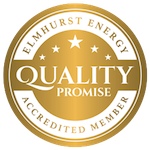 We are pleased to say that Libra Energy are an approved Elmhurst Quality Accredited Member. Elmhurst is the UK’s largest government-approved energy assessment scheme. Libra Energy are approved members of Elmhurst and have received extensive training. We hold the necessary qualifications and insurances to protect our customers. We also have the right processes in place to deliver accurate energy assessments which comply with the latest standards. If you would like to discuss any of the above details with a member of the team, please feel free to contact us.